Proper drainage is an essential part of virtually every sort of design. It helps to control and maintain the flow of water and waste which, in turns, helps to protect the stability of a given structure. It is also useful for redirecting groundwater and preventing the ground from becoming oversaturated, which can create various issues and serious safety concerns. Traditionally, the conventional method of drainage has been to install a grated trench drain system. However, while it is an effective drainage method, it is by no means the best option available. 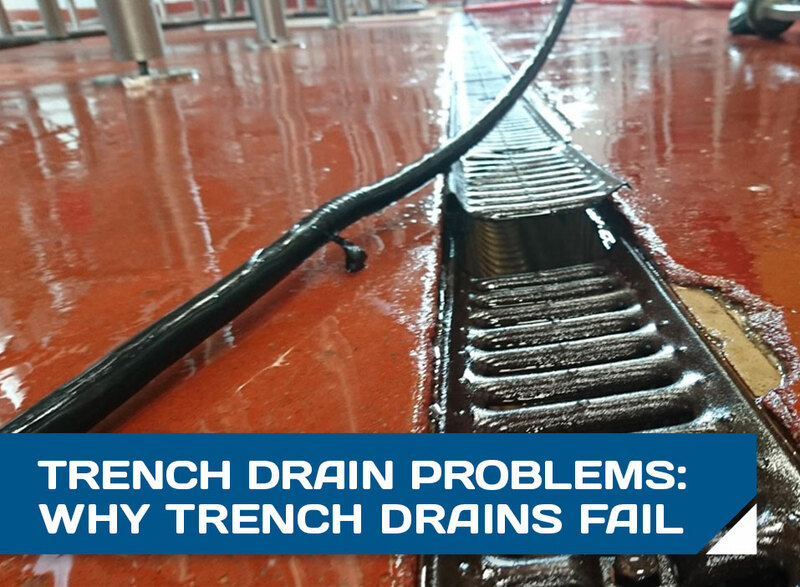 Here are some of the common trench drain problems and reasons why they fail—and an alternative that can solve all those issues. One of the common trench drain problems is what materials are used to make the drain. Trench drains are made using a number of different types of construction materials: polymer concrete, fiberglass, special plastic, and steel. Sometimes, these materials can have a more porous texture, which creates an invitation for bacteria to stick and grow, creating a contaminated, unsanitary environment. 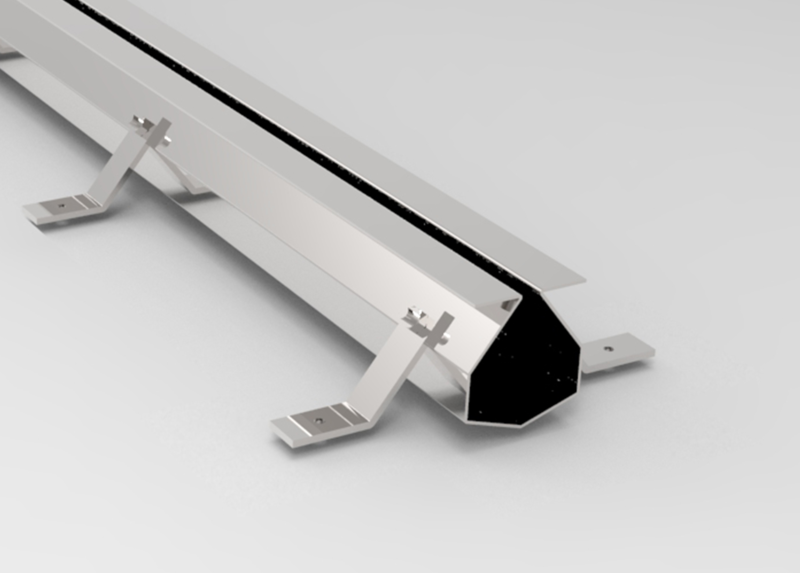 Moreover, trench drains come in sections for installation, which leaves connecting joints that also allow for bacteria to get stuck, and can go unseen during the cleaning process. 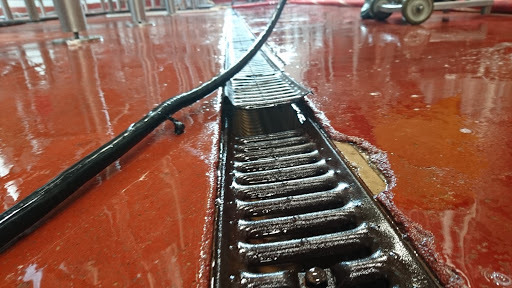 Overall, the material the trench drain is made of can make cleaning and maintaining the trench drain difficult, which can create many sanitation concerns that can later lead to serious health issues, especially in food and beverage-related facilities. The defining feature of trench drains are the grates the cover them, with the primary purpose of keeping larger objects from falling into the drain channel and clogging it. But, the problems with grates is that they tend to be extremely heavy and cumbersome. To clean the drain system, workers have to remove the grate, and if not done correctly, it can result in serious worker injury. Additionally, grates are relatively fragile and can break easily under extreme weight and pressure. But, grates are subject to constant wear—people walking on them, machinery sitting on top of them, vehicles and equipment running over them, and even weather conditions like snow and rain—so that also tends to make them break down more quickly. This means that they require replacing every few years. Otherwise, a broken grate could lead to serious injuries. Maintenance is another factor that also tends to create trench drain problems. That is to say that trench drains are difficult and costly to maintain. For one, as said before, to clean a trench drain properly, you have to remove the grate, which is a heavy piece that, if not careful, can lead to worker injury. Beyond that, depending on the material that the trench drain is made of, cleaning it can require more work. If the material is more porous or has a texture, there is a chance that bacteria will get stuck. As a result, workers have to spend more time scrubbing to ensure no residue is left behind. Otherwise, it can lead to health and sanitation issues and result in contamination. While trench drains are an efficient drainage option to consider, the various trench drain problems that can occur is something to keep in mind. The Slot Drain System is a newer type of drainage system that eliminates all of the common trench drain problems. By far the biggest difference between traditional trench drains and the Slot Drain System is the lack of grates. The Slot Drain System is a pre-sloped system with a much thinner channel that does not require a grate. This eliminates one part of the cleaning process, making it easier to get straight to cleaning the drain channel. But, the lack of grates also reduces the overall cost of the drainage system as there is nothing to replace every few years. The Slot Drain System is also typically made using a single sheet of nonporous material. This eliminates the ability for bacteria to cling to ridges and indentations on the channel, which makes it not only easier to clean but more hygienic as well. Additionally, the Slot Drain can come in extremely durable stainless steel. This makes them resistant to extremely high and freezing temperatures, as well as corrosion resistant, allowing you to clean them using stronger chemicals without damaging the drain. There are many different trench drain problems to keep in mind when considering the best drainage system for your needs. While they are useful, trench drains are not necessarily worth the hassle that comes with them. 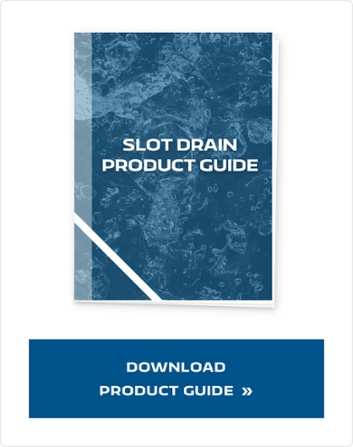 The Slot Drain System is a much newer, more reliable system that you can get at a much better cost. As you consider the best drainage system for your needs and facility, keep the Slot Drain in mind. It will do the job and serve you well for many years to come.